Store clothing and other accessories in style with this simple chest. 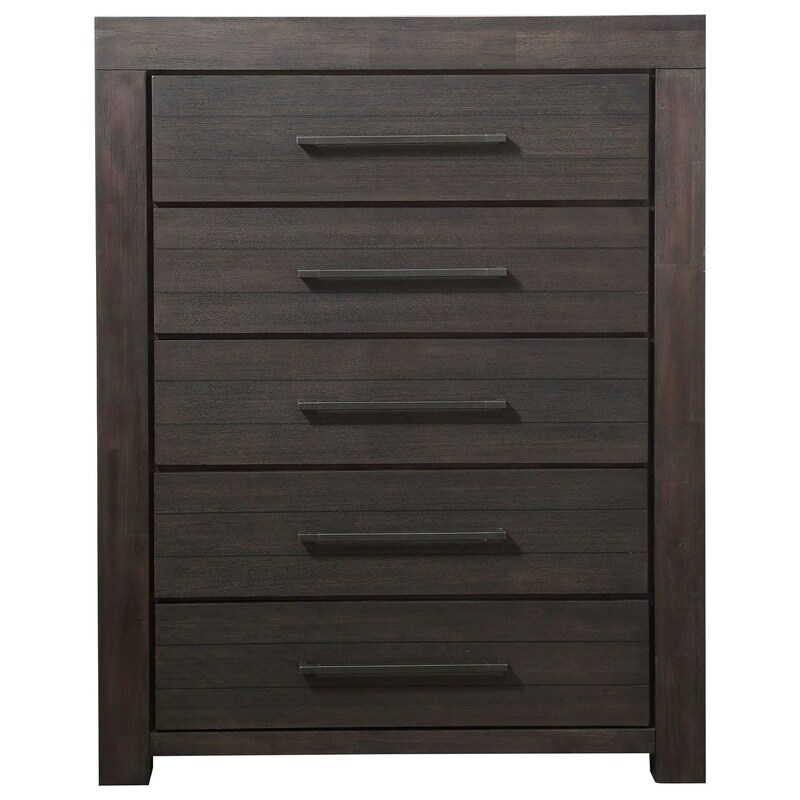 The tall design features five drawers while taking up less floor space than a dresser - the perfect option for a smaller bedroom or studio apartment. Clean lines, a rich finish, and long metal hardware combine to create this quietly sophisticated look. The Heath Chest with 5 Drawers by Modus International at Michael's Furniture Warehouse in the San Fernando & Los Angeles area. Product availability may vary. Contact us for the most current availability on this product.